Sad to be leaving our Staithes cottage, we were also mighty excited to be seeing Son again after his week at camp. We left in good time for the drive to Harrogate, our plan was to collect him and then spend the day at nearby Harewood House. Our journey was good, we arrived to find a rather exhausted looking boy, very obvious at first glance that sleep (and washing) seemed not to have featured too highly on his agenda. The most important thing though was he’d had a great time. No surprises for me at this pick-up (I’ve been through it before) and I brought fresh clothes in an attempt to make him a tad more presentable for our day out. The lack of sleep I could not help with. 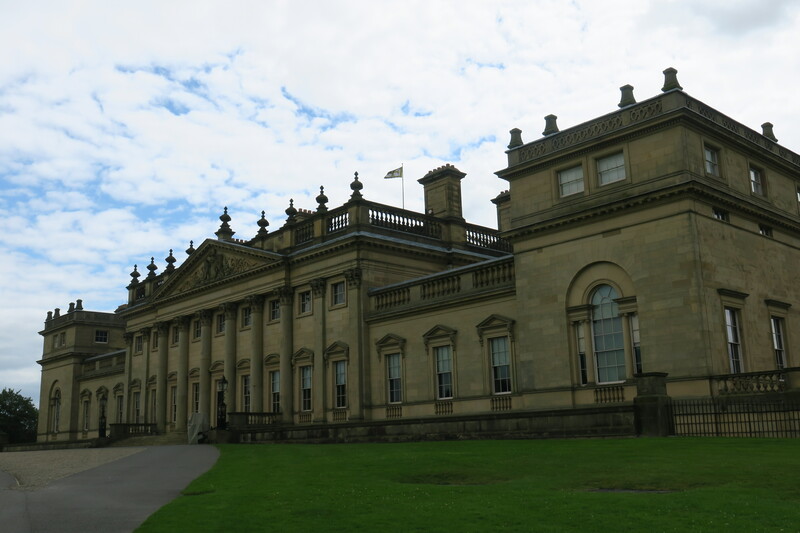 Harewood House was one of those places I had long planned to visit but never quite got around to it. We were early birds and arrived an hour or so before the house itself opened. The coffee shop was in full swing so refreshments and a chance to study the map and plan our day was most welcome. There is a lot to see and do here, we didn’t want to miss any of it. We also managed to see the penguins being fed. The house is beautiful and very impressive. Built in the 18th century for Edwin Lascelles, the first Baron Harewood, I love that it is still home to the Lascelles family. We had a wander outside and around the formal gardens. 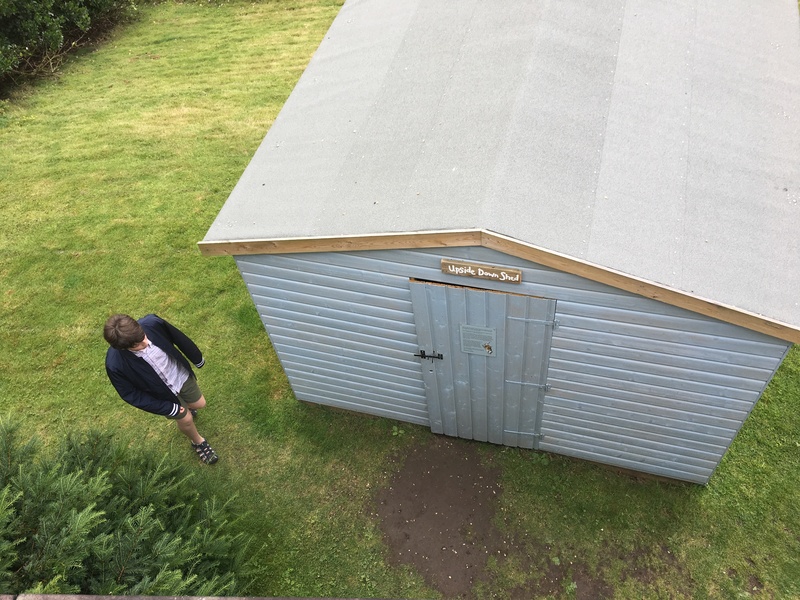 Son also had a look in the Upside Down Shed – it turned out to be a camera obscura. We headed Below Stairs first. 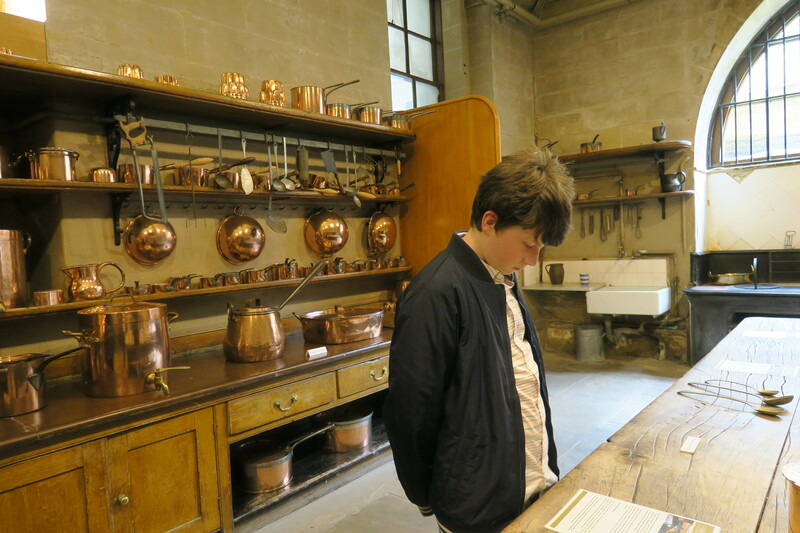 The servants quarters and kitchens always intrigue me the most in these big houses. 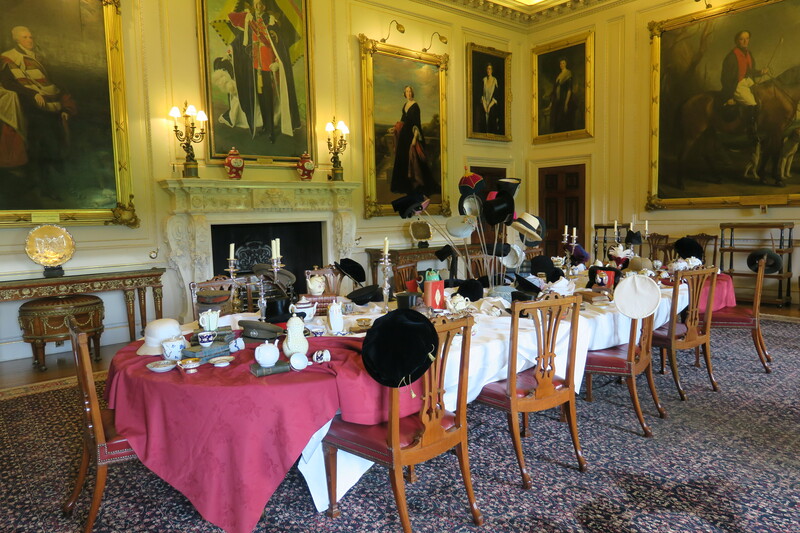 Plenty to see and do, we learned about how the servants lived and ran the house. I never fail to be impressed by the bells. 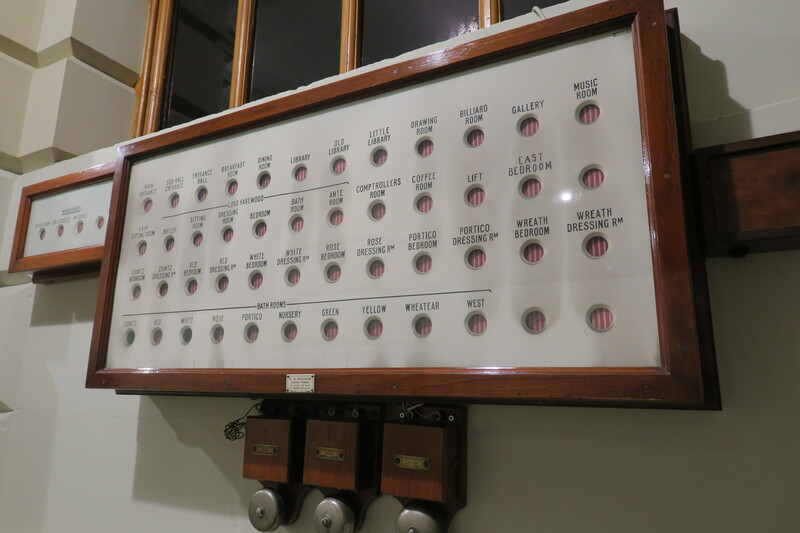 How did they ever tell the different rings for the different rooms and remember them – they all sound the same to me. 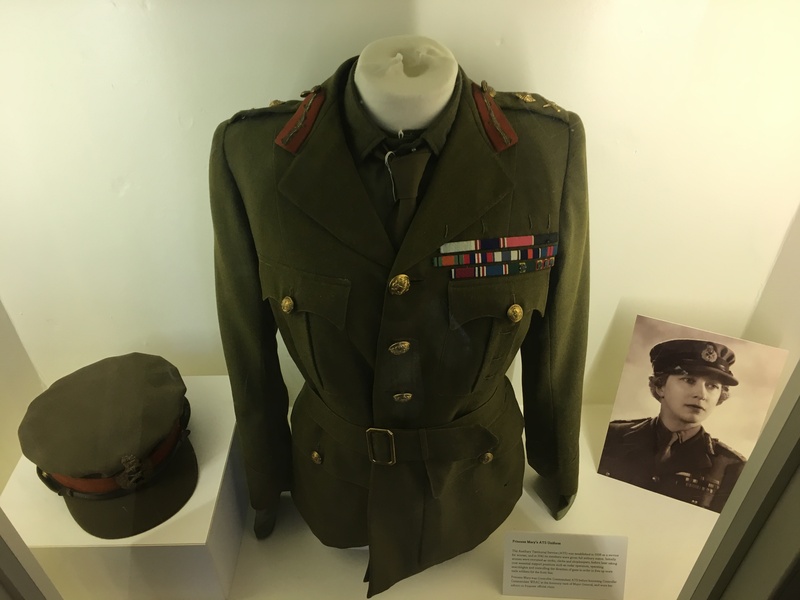 There is a fascinating exhibition about Princess Mary, eldest daughter of King George V and aunt to our present day Queen. She married Henry Viscount Lascelles and when he inherited his father’s title, moved to this house where she lived for over 30 years. 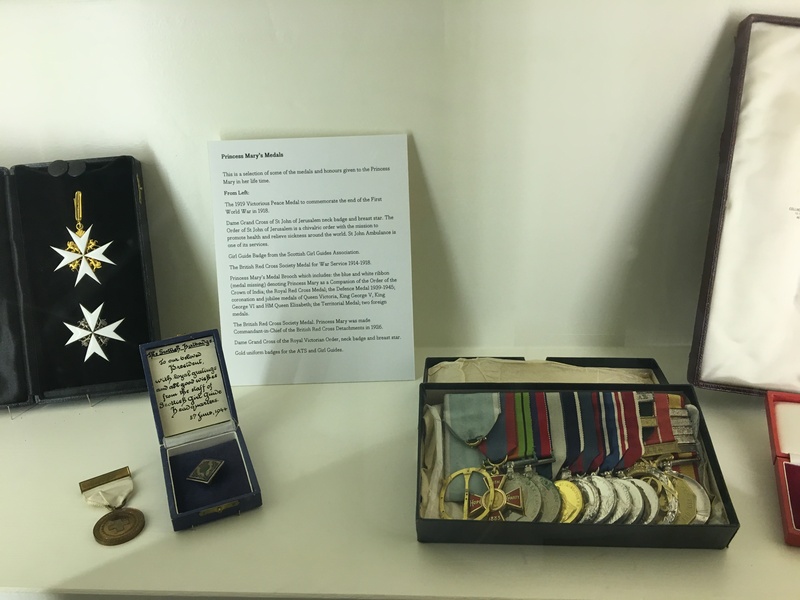 We learned about her life before and during her time at Harewood and saw many personal items on display. I found it fascinating. Son was more focussed on finding a quiet spot to sit and snooze. The week of no sleep was most definitely catching up with him. Upstairs the house is grand and impressive. 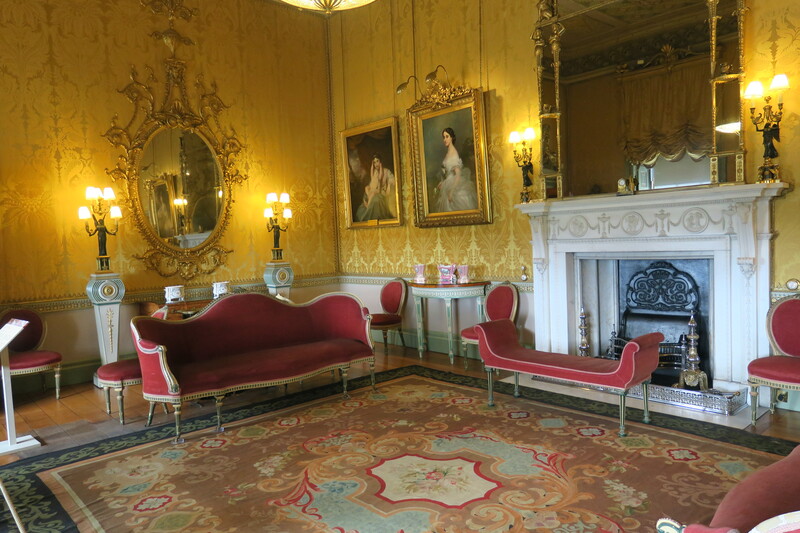 The whole place is full of rare Chippendale furniture, stunning artwork and very ornate rooms. There are family touches and photos too though which remind you this place is still a home. The friendly guides in every room were wonderful. All lovely, all keen to chat and point out things of interest, they gave the impression they really loved their job and this house. 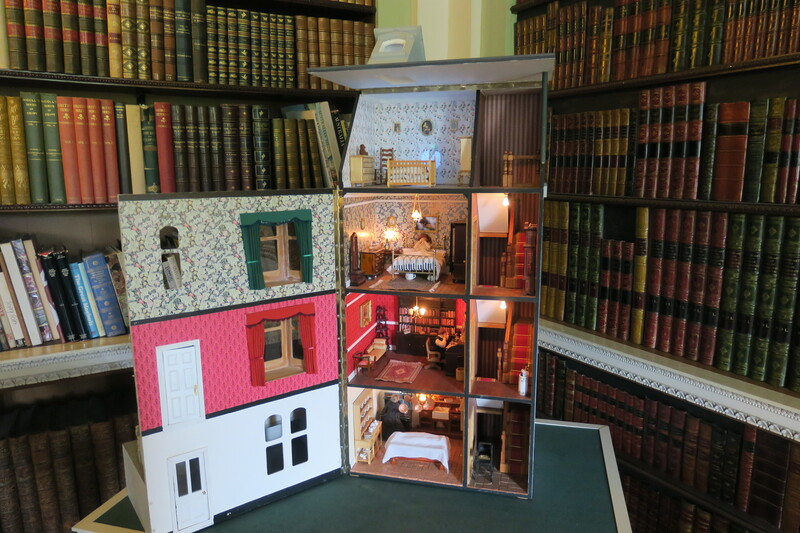 Son and I were taken with the dolls house – a fully working miniature, even the clock keeps accurate time and every book in the little library can be read with a magnifying glass. 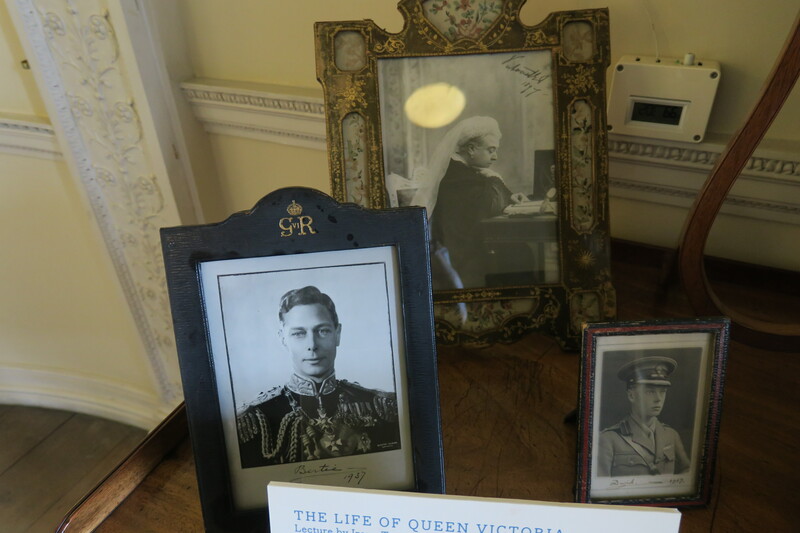 We discovered more royal photographs and more information on the royal connection. 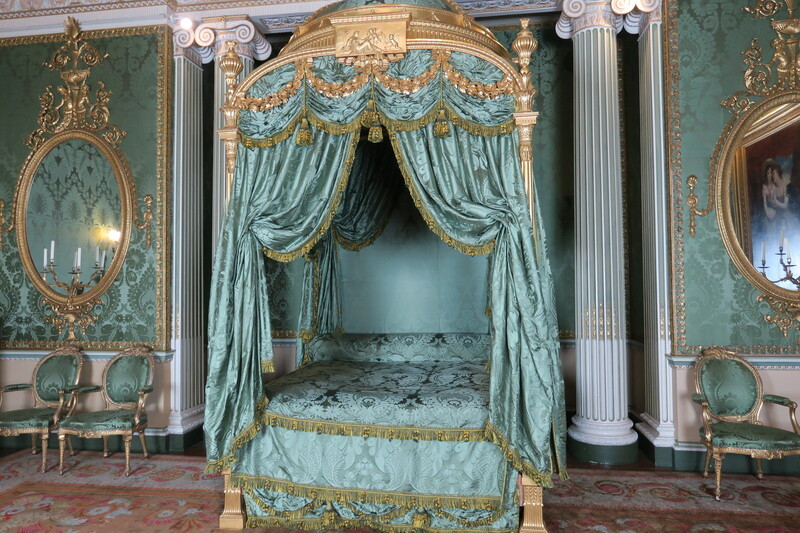 An intriguing bed, apparently the most expensive ever commissioned was on display. Made by Chippendale, he never made another like it. It was slept in just once by the then Princess Victoria when she visited in 1835 before her coronation. 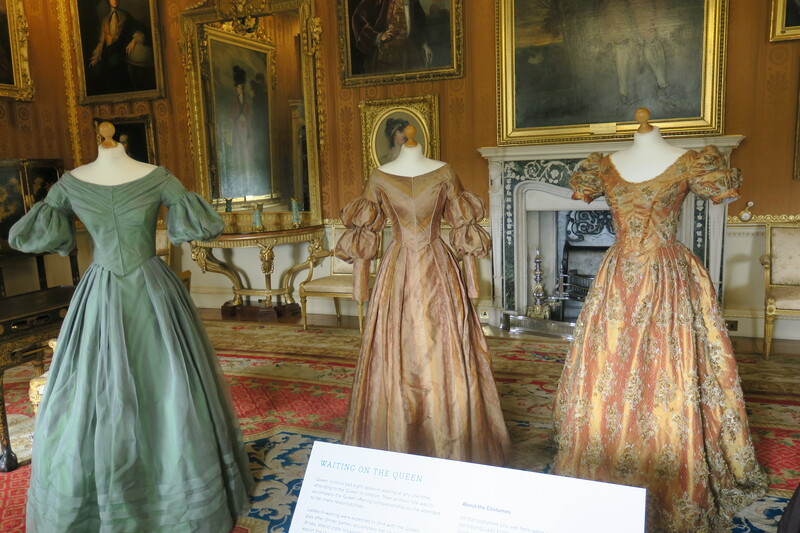 A fan of the TV series Victoria, I was excited to see the costumes from series 1 on display. 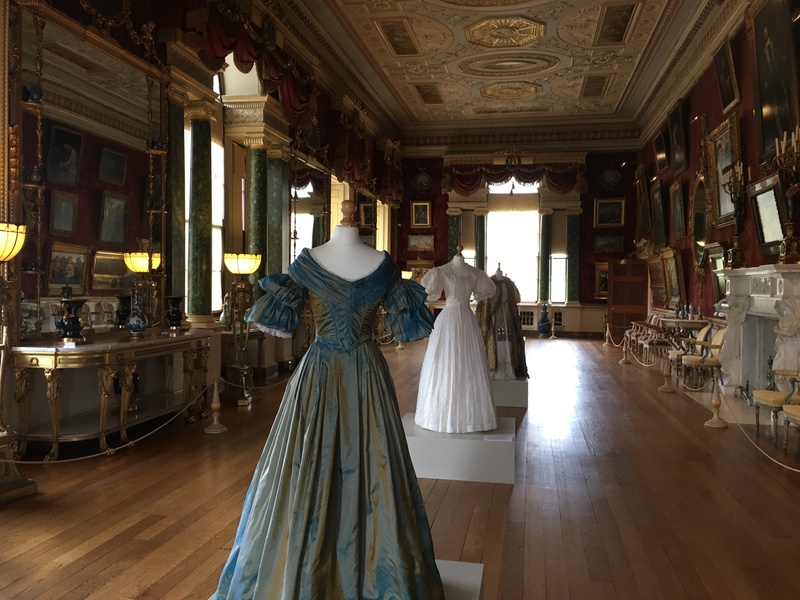 Parts of this were filmed at Harewood House, I read about the different episodes and got to see the dresses up close – a highlight being the stunning coronation gown. I loved this, Husband and Son not so much. 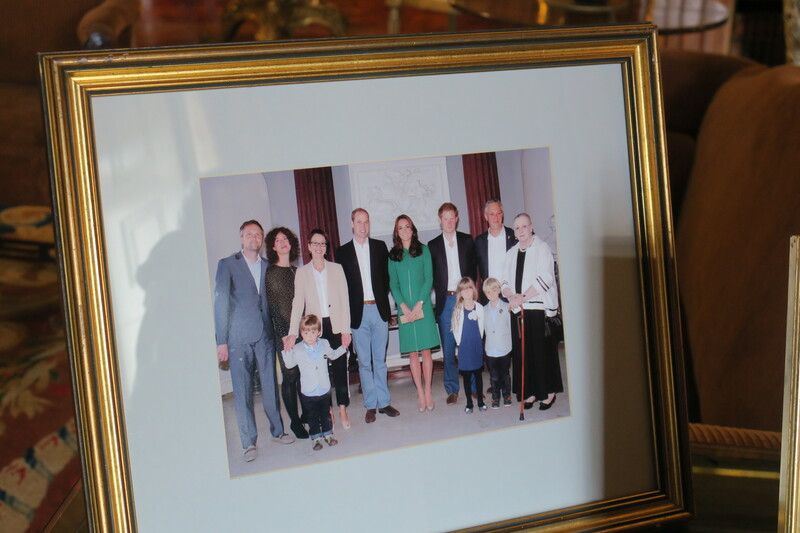 Family pictures everywhere and even a photo of William and Kate visiting was on display. We strolled through these ornate, elaborate and gorgeous rooms taking in all the opulence. Son just about managed to stay awake…. What a splendid finale to your week in Yorkshire. We visited about twenty years ago but you’ve reminded me that I should return sometime. It was so nice to see personal touches such as photos dotted around and not just be set out as a museum piece. Hope you’ve had a good, family half term break if it was this week Joy. This reminds me strongly of Longleat. I loved it very much, the mansion, the garden, the zoo, and the safari park. 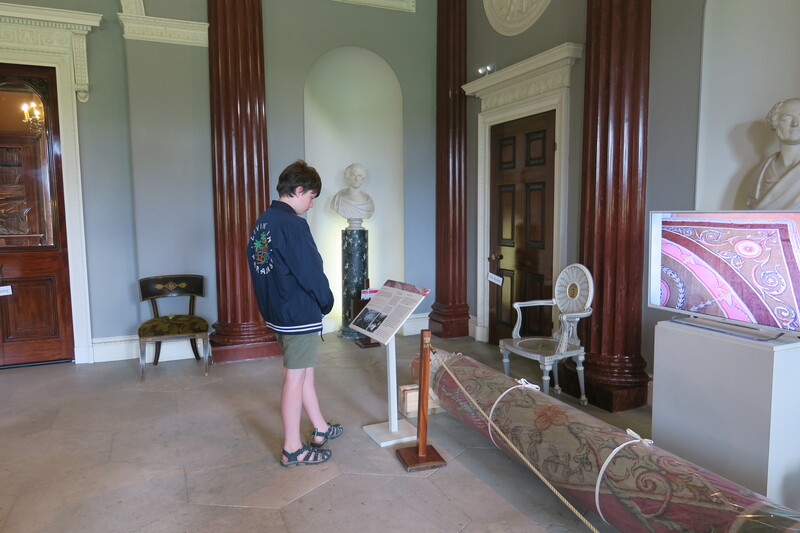 Thank you for sharing Harewood House. What a precious place! 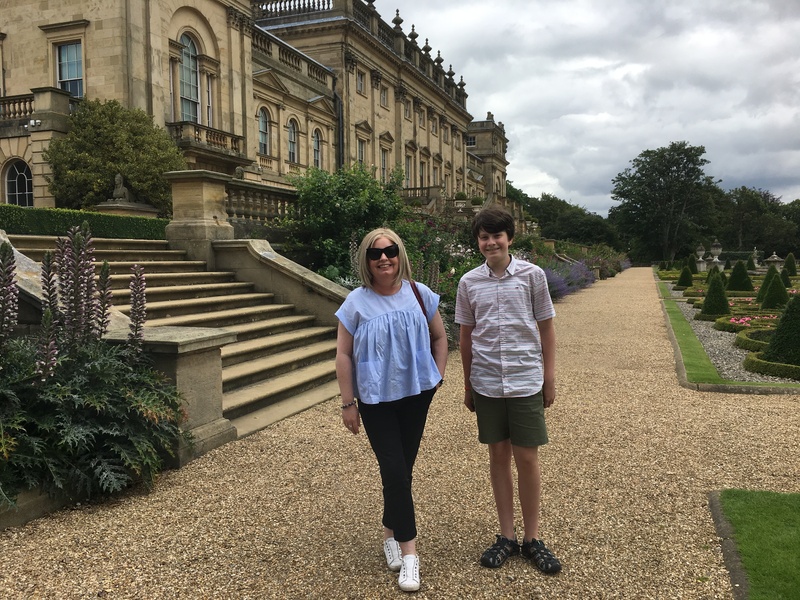 It is quite like Longleat Erika – another great place to spend the day, we loved it there!! 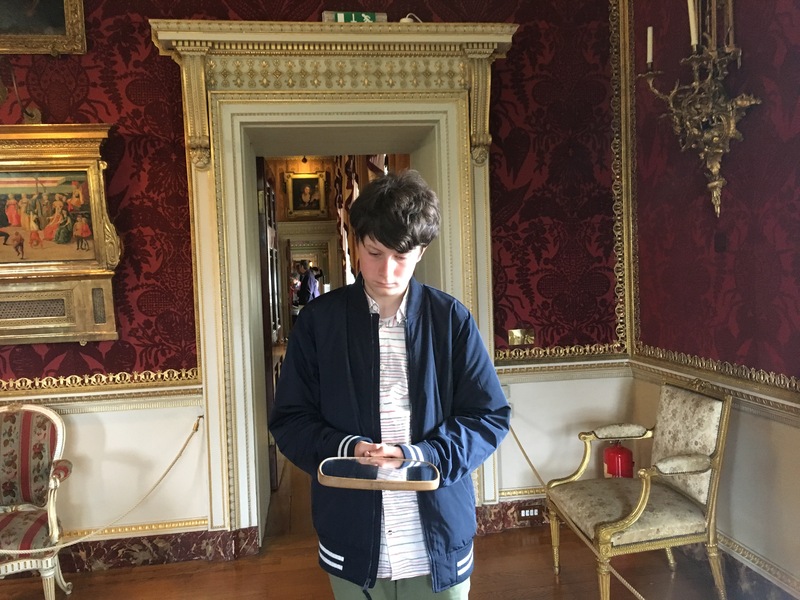 Harewood is such an interesting house and I especially enjoyed the royal connection – I found it fascinating. It looks so precious and majestic to tell from your photos and explanations. What a cool place- almost looks like your family had the house to yourselves! We were very early arriving here that day but it definitely paid off. 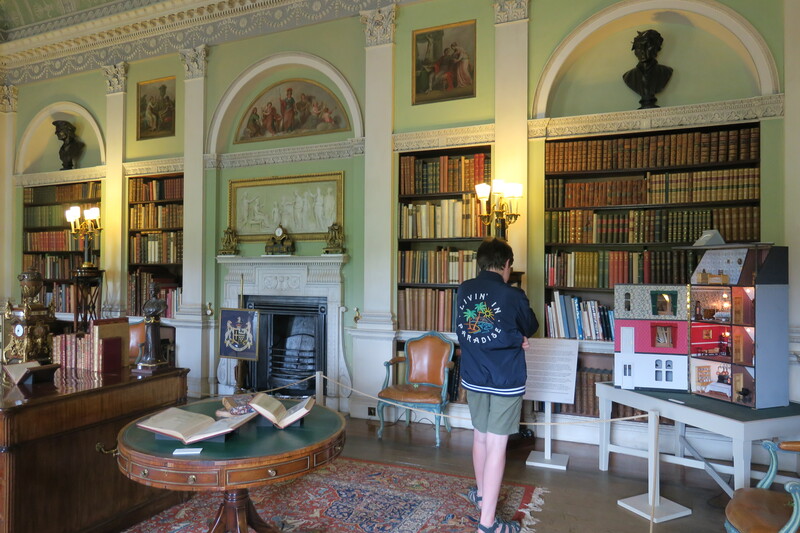 We had the Below Stairs area all to ourselves and there were just a few people exploring the main part of the house – perfect!! There’s just something about doll houses that I can’t resist – this one was especially splendid!! He turned 14 in September and seems to be changing and growing so much – time goes by too fast. How old is Miss G? Oh my goodness – old enough to keep me so busy that I missed this for a month! She will be 12 next spring, and it seems like 5 minutes since she was 2. The world is her oyster, and we are her event planner/chauffeurs! Keeps us on our toes, but it is the very best kind of life. Keep sharing your travels – they are little highlights in my days! 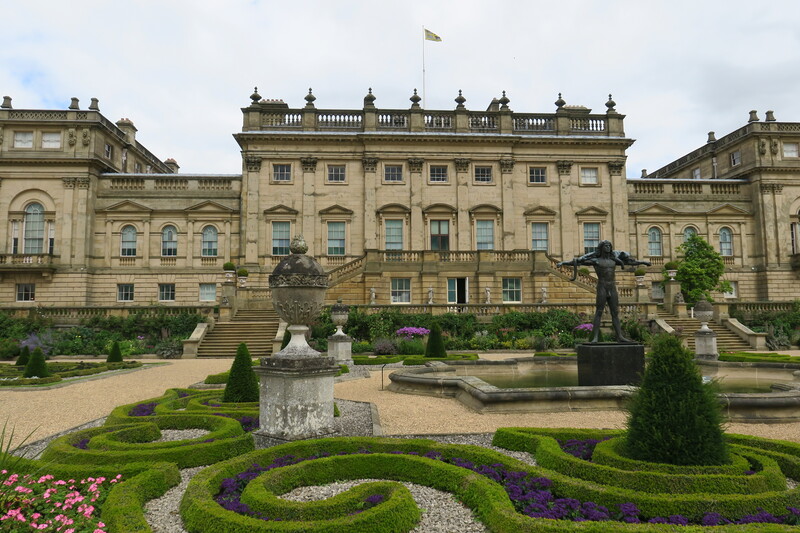 Harewood House is a stunning stately home, and the gardens are in a league of their own. I visited a few years back (how time flies!) and thoroughly enjoyed it. 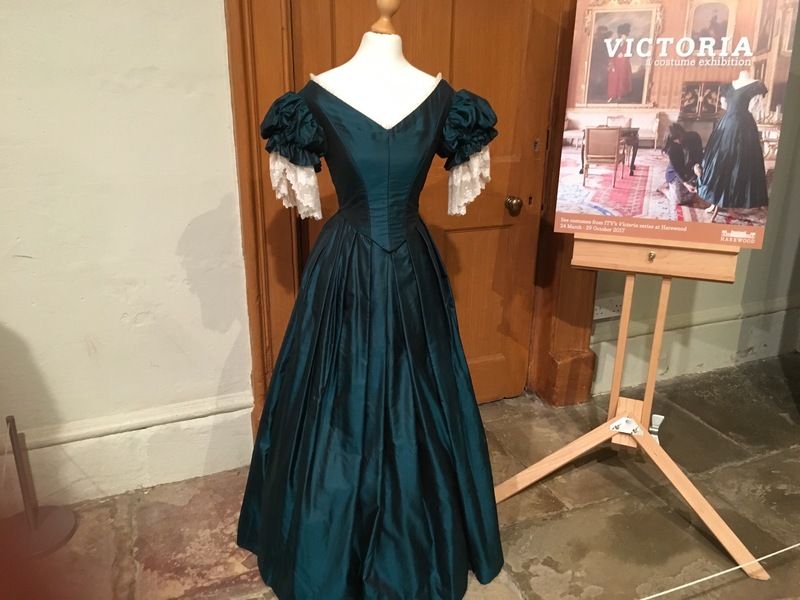 Nice to see that they’ve made a feature out of the costumes from the TV series Victoria – my visit pre-dated that! 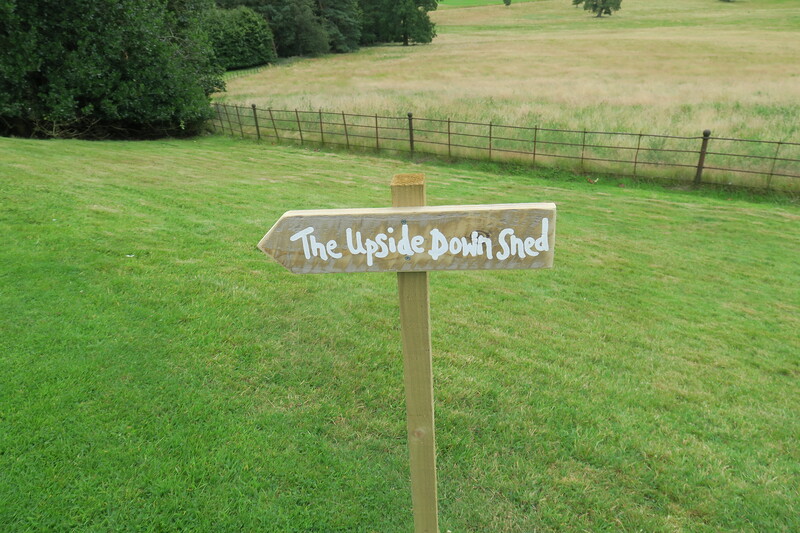 We really loved it too – the perfect mix of indoor and outdoor things to do. 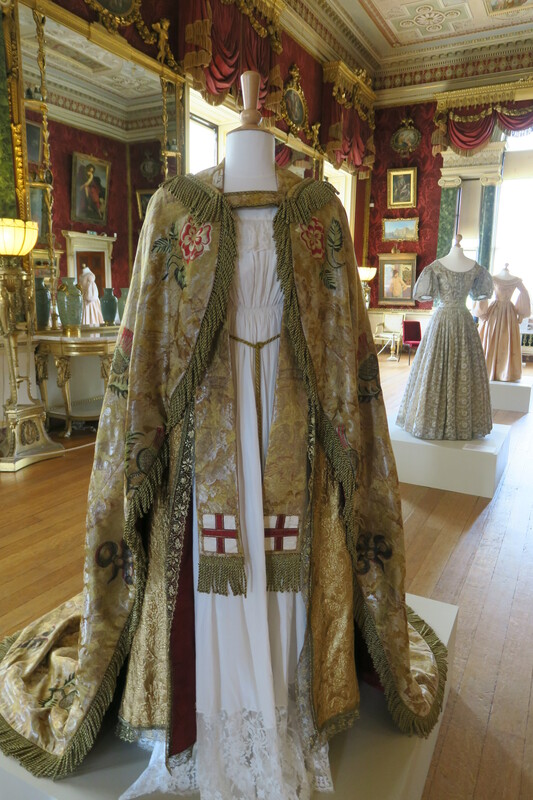 The Victoria costumes were so interesting to see, I think they’re only there for a limited time but that was good – it forced us to get a move on and visit. It really is, and it has something for all ages to enjoy too. Nothing like a temporary exhibition to make you commit to a visit! Son looks more than presentable (though the strain is showing in the last picture). I think he might have grown another few inches while he was away! Well…. don’t look too closely Anabel!!! We thought exactly the same, having not seen him for a week he seemed somehow taller and more grown up!! It’s gorgeous isn’t it!! I read somewhere that they considered this place for the Downton Abbey filming but didn’t pick it. I loved Victoria! I would have loved to see those costumes! What a fun day out! The costume exhibition was what spurred me on to visit, it’s only for a limited time and I really wanted to see it. I’m glad it did though, there is so much to see and do at Harewood and we had such a great time Hilary. Thanks for putting another day out on my ‘to do’ list! This is a good one – the entrance is not cheap but there is a lot to see and do. I always imagined that it was National Trust. Unfortunately not – nor is it English Heritage. Looks like a lovely trip, fabulous photos! Thank you! It is a beautiful and interesting place to visit for sure. Isn’t it just gorgeous inside and out George! Definitely worth a trip back!!! Thanks for sharing this! There were so many places that I didn’t get to visit when I was living in England, which I very much regret now, as I’ll probably never get another chance to do it, but these posts have given me the opportunity to see what I missed. My son is that way too every time we pick him up from camp especially they have a big party on their last night! I think that bed was definitely tempting for him…. apparently they played hide and seek after lights out – no wonder he was exhausted!! 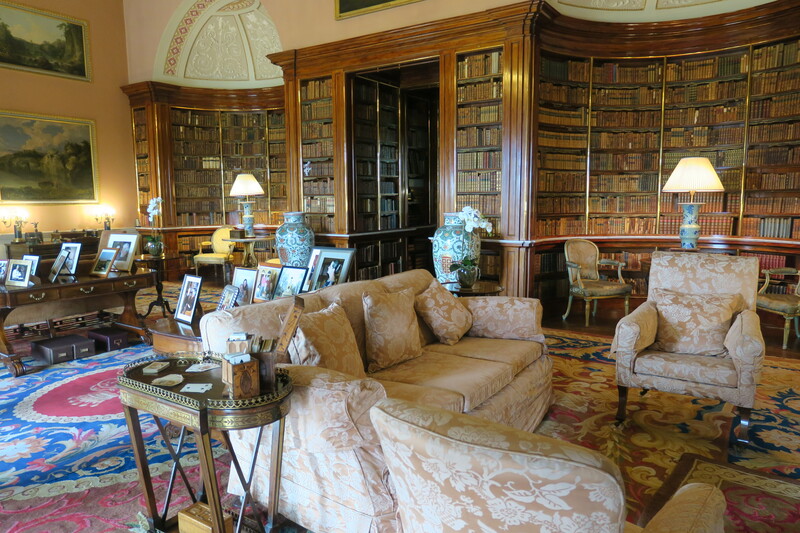 The Harewood House seems so charming and magnificent. I fell in love with it from your pictures! Is one day enough to explore this place? We arrived around 10 ish and left at 4.30 and managed to see and do everything comfortably. It is definitely charming and very beautiful. The bird garden is still there Rosemary, we had a walk around there too. The doll’s house was just amazing, my son and I studied it up for ages, there’s something so compelling about dolls houses I always think! It’s funny Rosemary, my mum kept our old dolls house as well and my son used to play with it (a long time ago now!!!). Children always love doll’s houses Joy! Am very happy as managed to get a lovely wooden house today as a specialist toy shop. I thought I was going to have to send off for one from a company that make them in Queensland but then found the exact same one in this shop so saved on the postage and packing. 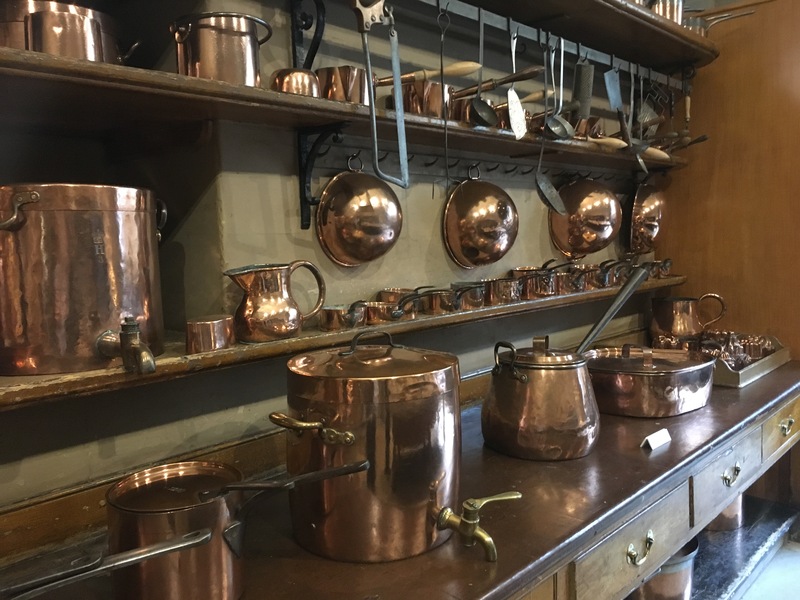 It was hard to restrain myself there were so many lovely things in that shop – I’ve bought some cute furniture to go inside the house so hope the girls love it as much as I do!!! Sounds perfect Rosemary, I’m sure they will really love it. Oh lord this is an impressive estate! 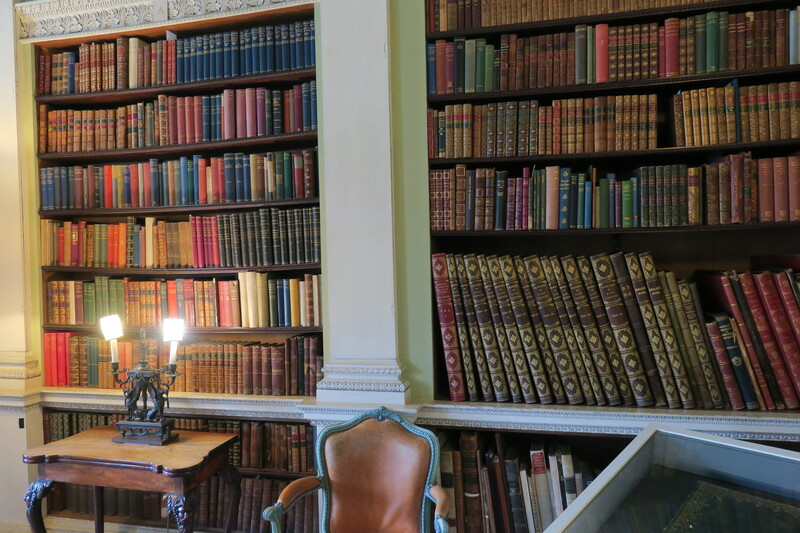 I am currently writing down a list of not-to-be-missed astonishing British Mansions (being inspired by Pride and Prejudice mostly, even though it’s a different “time”), apart from Harewood House could you recommend 2 other similar places you liked? 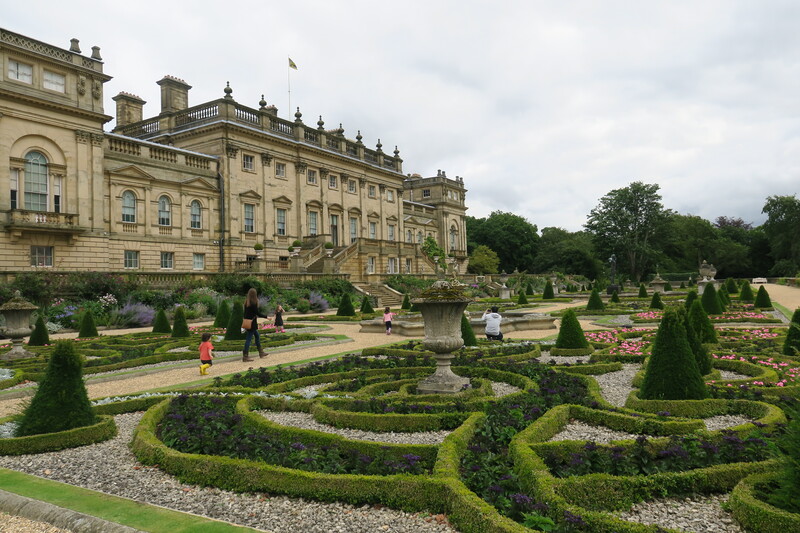 Chatsworth House and Leeds Castle are two more of my favourites!